Trying to console her, I pleaded: but why? Categories: beauty, blessings, flowers, I LIVE POETRY | Tags: beloved, blessings, Ilivepoetry, sunflowers | Permalink. 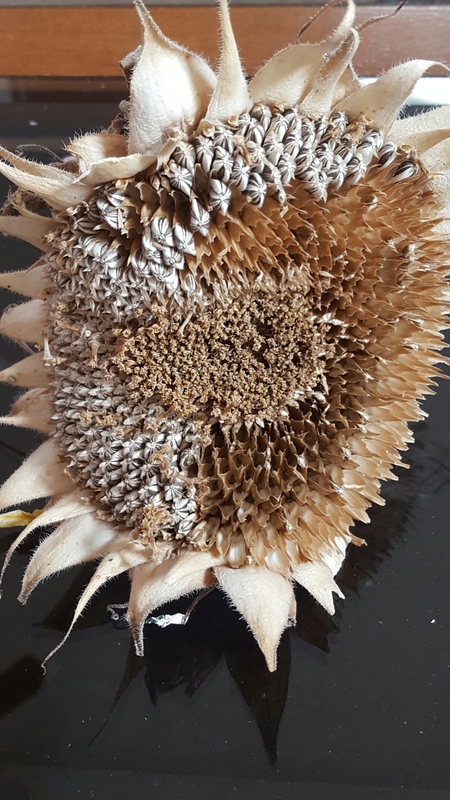 Love the dried sunflower and poem perfect fit. Thank you so very much! Happy day to you on the other side of the world. I like this a lot, Marie. Thanks for sharing it. Thank you. I was inspired by a very great writer…story seeds and lullabies. I like your creation, Marie. Thank you so much Russ. That means a lot to me!